Janadriyah is the national festival of Saudi Arabia. This festival comes in February every year. This festival lasts for more than two weeks. Citizens of Saudi Arabia celebrate Janadriyah on a specific site, located 45 km away from the capital Riyadh. Some striking activities of this festival include camel races, crafts shows, traditional dances, poetry readings, etc. Muslims of all countries celebrate the popular Hajj festival. Out of all cities in the world, Mecca is the most popular city where the Hajj festival is celebrated. Muslims consider Mecca as a very holy place and celebrate their most religious events. It is said that every Muslim need to undertake or celebrate the Hajj festival for at least once in his/her entire life. However, non-Muslim people are not allowed to celebrate or undertake the Hajj festival. Here is another important festival of Islamic culture. Not only Muslims of Saudi Arabia, but Muslims in all countries celebrate this festival. This festival is related with a story of popular Islamic Ibrahim. It was his sacrifice that leads to the invention of this festival. 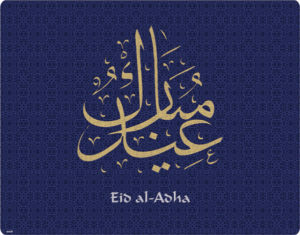 Eid al-Adha is celebrated in three days. Commonly, the festival starts when Muslims complete their Hajj journey. Muslims celebrate this festival with utmost dedication and put their best efforts for availing their ultimate goal i.e. Self-Realisation. Eid al-Adha is also known by Arabic Eid al-Adha and Asia Room. Like other festivals, the national day is also one of the important events in Saudi Arabia. Several significant events happen or occur on this day. The national day is celebrated on 23rd September every year. This day is associated with the unification of Saudi Arabia and symbolizes the identity as well as the genesis of the Kingdom. It is celebrated in the memory of the King Abdul Aziz Bin Abdul Rahman. Festivals celebrated in Saudi Arabia are popular all around the world. In addition to Islamic festivals, cultural and folk events or festivals are also celebrated in Saudi Arabia. The cultural festival, Janadriyah is celebrated in (February) month of every year. Eid al-Fitr is celebrated after 30 days of Ramadan. Muslims celebrate the Hajj festival in the last month every year. After the Hajj festival, another festival called Eid al-Adha is celebrated by Muslims in different countries. One of the important events, the national day, is celebrated on 23rd of September every year. Muslim take huge interest and maintain enthusiasm is all these festivals.